As the sister property to Le Sereno in St. Barths, Il Sereno offers 30 rooms with private furnished terraces, including a 2,000 square ft. Penthouse suite, with an expansive private terrace and garden. 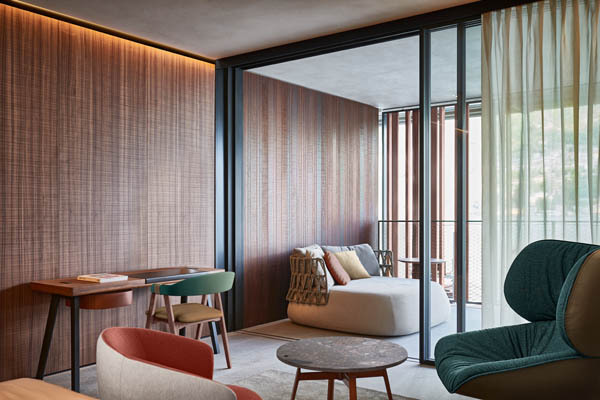 Acclaimed Milan-based designer Patricia Urquiola has created a retreat that is sophisticated and contemporary, with a relaxed and warm feeling throughout the property that is intimate and romantic. 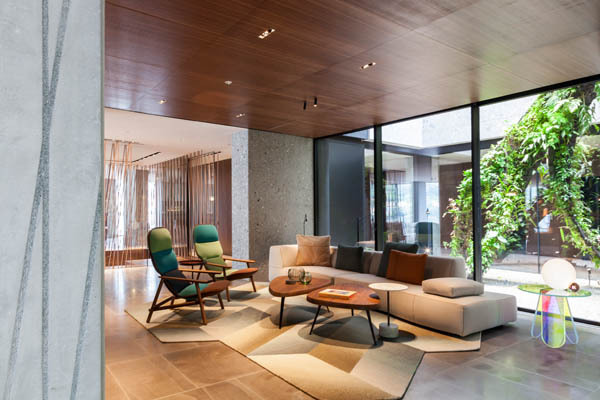 Il Sereno is constructed primarily of natural materials, including wood and stone to create a timeless hideaway, full of authenticity and personality while also creating a strong sense of place. Perhaps the most beautiful feature of the property is their 60-ft freshwater infinity pool that offers views of the surrounding mountains and majestic lake. There is a private beach here as well, along with a dock that allows guest to arrive on the hotel’s custom-built boat, although guests could also access via helicopter and car. Once there, an easy water-taxi ride or the hotel’s boat service will allow guests to explore the areas around the lake. A fitness center is available with trainers upon request and a full-service spa that opens Spring 2017 (with private in-room treatments available) allows guests to indulge in body treatments, massages and facials for complete rejuvenation. Activities include boating, golfing, wine tasting, and so much more. For hikers, Lake Como offers a wide variety of hiking possibilities, from leisurely walks to strenuous and more difficult trekking for serious hikers. 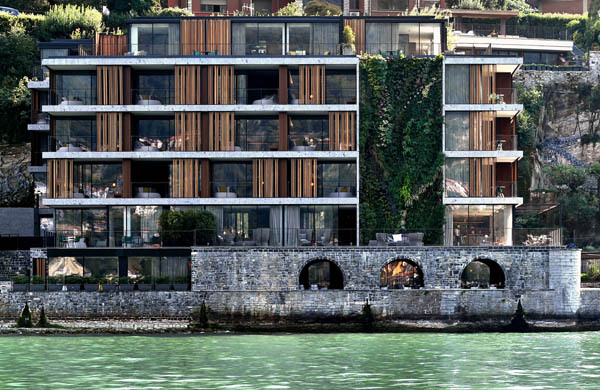 And, of course, a visit to Lake Como would be complete shopping along the lake. 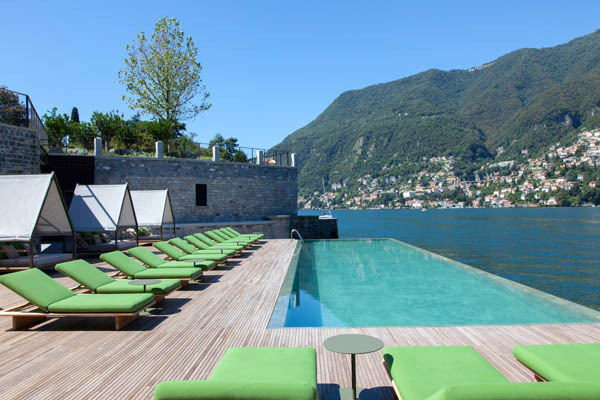 The restaurant on property, Berton Al Lago, boasts a full menu that utilizes the ingredients and tastes from the regions around Lake Como. From fish and meats to fresh cheese and local wines, the dishes are curated in partnership with Milan restaurateur and Michelin star chef, Andrea Berton and Executive Chef, Raffaele Lenzi. The dynamic duo presents modern Italian cuisine in a relaxed and refined atmosphere for breakfast, lunch and dinner. Although just 50 minutes from the center of Milan, the property is in complete contrast to the bustling vibe of the country’s fashion capital. Il Sereno offers you the chance to step out of the ordinary, and into a world of effortless relaxation and simple beauty. This intimate and sophisticated property brings a fresh and hip vibe to this tranquil and beautiful region of Italy.